SAP has announced the latest update for S/4HANA, release 1811. This sees a continuum of its investment into intelligent robotic process automation for its ERP solution. The release contains a wide range of updates some of which were called out in a blog by Sven Denecken, SVP, SAP S/4HANA Cloud Product Management. Enterprise Times spoke to Denecken briefly before the release was made public. The other applications are SAP BY Design and SAP Business One. Includes updates to FP&A, Financial Close, Treasury, Automation of A/P & A/R and Compliance and Risk. Sourcing and Procurement. Automation of sourcing and contract management, commodity procurement, simplification of procurement processes, improved analytics. Flexible billing, Order and contract management, Sales management. Professional Services. Resource management, Time entry management, expense billing. Enterprise Portfolio and Project Management: Automation for Project creation and Reporting. Research and Development. Enterprise project management, PLM, streamline engineering processes. Manufacturing and Supply Chain. Integration of inventory and logistics processes, production planning, complex assemblies, maintenance management, manufacturing workflows quality management. Included in the update are improvements to compliance, including data aging functionality. Full details of the features included in the update can be found here. One update caught our eye. SAP has improved its resource management functionality for professional services organisations, often embedded functions. According to Denecken’s blog, firms are now able to consider previous project experience when creating staffing plans for the next project. This means that SAP are able to use skills and past experience and leverage machine learning to deliver the best mix of skills for the future project. The question we asked Denecken was around whether the skills database leverages SAP SuccessFactors or is a separately maintained one as many other PSA solutions have. He then continued, answering the specific question: “Absolutely, if we look into the professional services scenario, SuccessFactors and here in the skills sets side, that is what we leverage for it. Nowadays it is not enough to just produce an ERP solution to win business. SAP is winning business, in its recent results it stated that 40% of deals are net new, 60% from existing customers. This is significant and SAP are helped not just by its ecosystem supported by the platform it has developed. Denecken highlighted two areas that both customers and partners take advantage of. The second is enabling partners to develop applications for the platform. 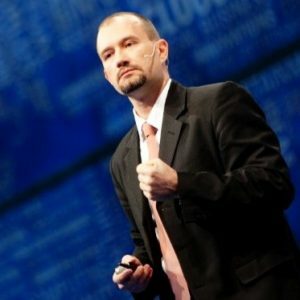 Denecken revealed: “The partner innovation program. We already lauched our software development kit on our platform as a service. It has its own dedicated SDK for S/4HANA and this is where we now launched a partner innovation programs because many parts of our ecosystem are building extensions around micro-verticals. One example that we recently highlighted is around an extension of the maintenance functionality. That partner innovation program is really kicking off. Where they do the last mile of very specific developments which we SAP cannot do. SAP means business, while Denecken would not be drawn on from whom they are winning those net new customers, he did indicate that it was in certain verticals and geographies. With its latest acquisition, Qualtrics set to become another significant USP for the ERP giant, it is easy to think that SAP is not just flexing its muscles but actually utilising to cement its hold on the ERP market. Specifically, to recapture some of the ground it lost to cloud vendors. Its results over the next few quarters will demonstrate its success. 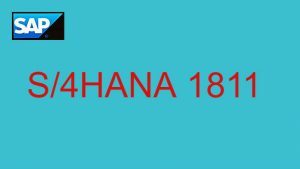 However, Release 1811 is yet another significant update by SAP for its flagship ERP S/4HANA.